Milk Chocolate Foiled Spiders. Chocolate Store, the online candy store with chocolate and candy. 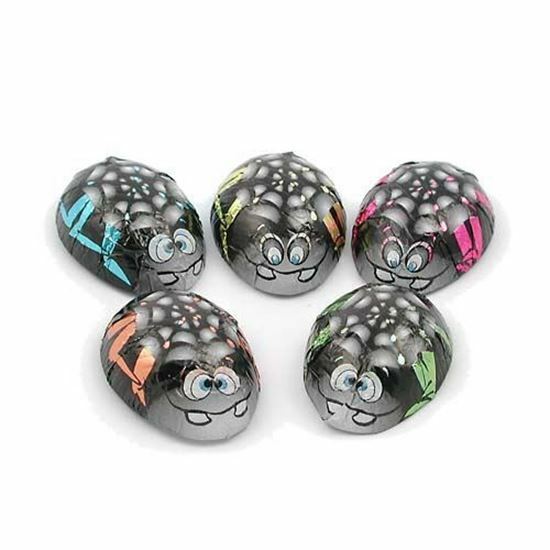 Milk Chocolate Foiled Spiders...The Itsy Bitsy spider climbed up the waterspout…. our goofy spiders probably couldn’t find the waterspout, but they will find their way into a variety of uses. They are a perfect treat for that “special” ghost or goblin that might grace your Halloween door, decorate a party table or just put them in a dish and laugh at their goofy expressions. Whatever the use you will enjoy the flavor of the premium milk chocolate that they are made of. Each piece is about 1.5 inches long and weighs ½ ounce.